Here's a collection of some of the work that I've developed over the last couple of years. 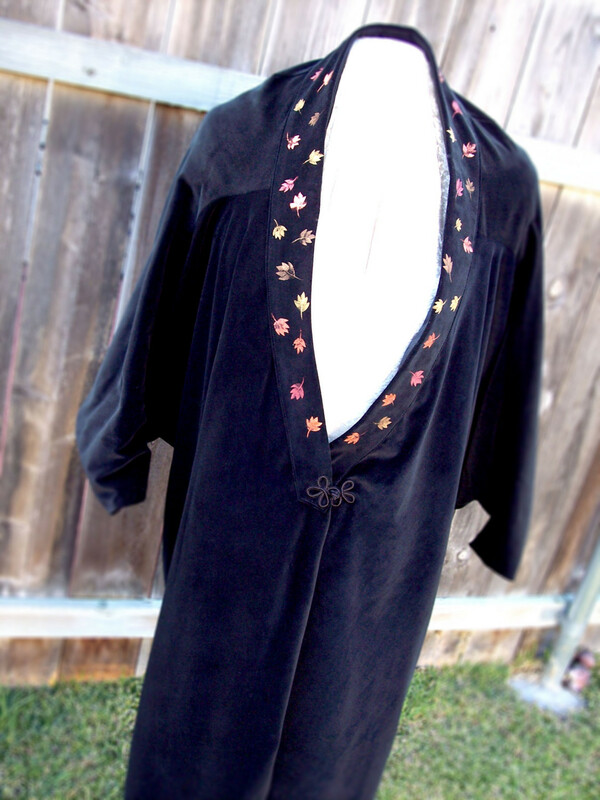 The garments span a wide variety of different looks, different types, and different embellishments. But all of them are slightly "theatrical" in nature, with a heightened reality that really sets them apart from what everyone else is wearing. 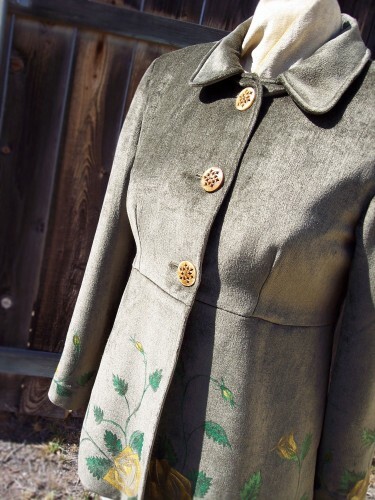 There are a lot of wide and varied influences on my work--my costuming background, my love of nostalgia, my great grandmother's porcelain china painting... I've found a sense of kinship in the Steampunk and neo-Victorian looks that are so popular today, but I've also got a dark streak running through me that finds Goth clothing fascinating. I also find folk art, naive art, and assemblage to be completely hypnotic!! There's something about culling together disparate elements into a cohesive whole to elicit an emotional reaction... I love it!! For some reason, I've found the current contemporary fashion industry to be "lacking" somewhat... I've never been a big fan of industrialized style that is mass produced and packaged. I think I "fear the majority" in a way, and have way too much of an independent streak in me to subscribe to the party line... 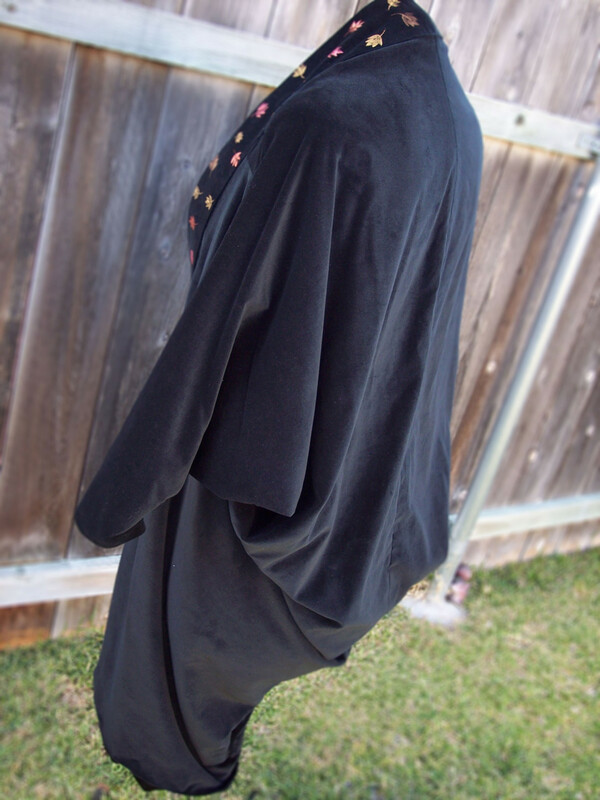 So I've fallen on the "art" side of the line regarding attire, and strive to make everything individual and unique--something you can't get through manufacturing. And because of that, I have a tendency to work for larger sizes... So few of my friends fit the "fashion ideal", and I fail to understand why the majority of clothing in the US is not manufactured nor designed for the average female figure: a size 14!!! I've vowed to make my attire in sizes that fit the women in my life--very very few of which are the size of runway models! 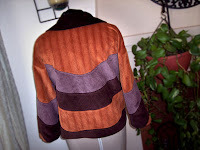 And if you're interested in seeing more of my work, please visit my Artfire and Etsy shops! Links are included in all the descriptions below. 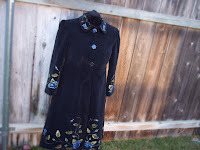 This coat, which I call Golden Rose, was one of my early attempts at using fabric paint on a velvet pile fabric... I had done a lot of research regarding black velvet painting (funny how there aren't any substantial tutorials out there...) since I had recently completed a different coat for a theatrical show I was working on that involved painting on velour. It was interesting--I could find relatively few examples of painting on velvet that wasn't black! But it turned out alright, and I used up all the velvet I had laying around. This coat was closer to the original project I had experience with--it was actually velour. It's a heavy thing, but could really comfortable when it comes to a cold winter night. I named this one Midnight Trellis and actually sold it once... 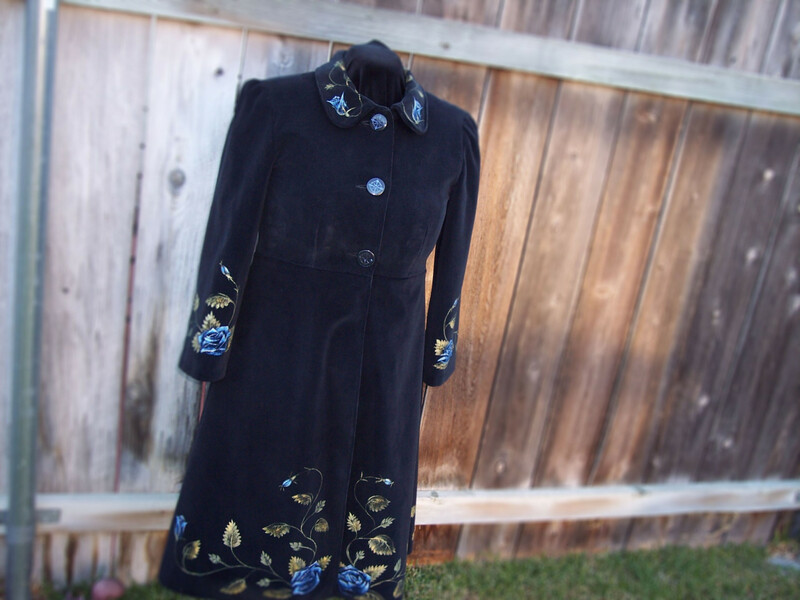 The coat didn't quite fit her, so she sent it back and I made her another specifically for her, with different colored flowers. 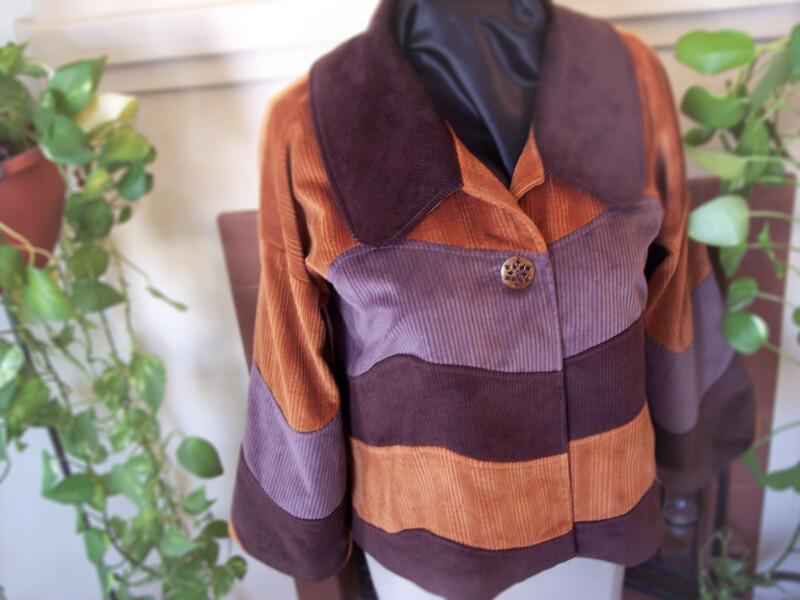 I also used a lighter weight velour, so the coat wasn't quite so heavy. I think it's living a happy life somewhere in the northwest US. There's an interesting story about this coat, which I named Wavy Relish. One of my costume colleagues has a sister that used to work at an upholstery company. They manufactured and sold fabric to different furniture companies. She had boxes and boxes of fabric samples--like huge truckloads of 12"x12" expensive fabric swatches!! She simply gave some of them to me--I can't tell you how many boxes fabric samples I used to have--I ended up giving them all away... But I kept these. These were a bit bigger. 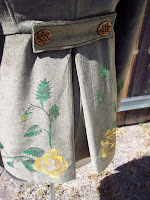 I decided I would use them in a garment, and designed the coat around the fabric that I had at hand... 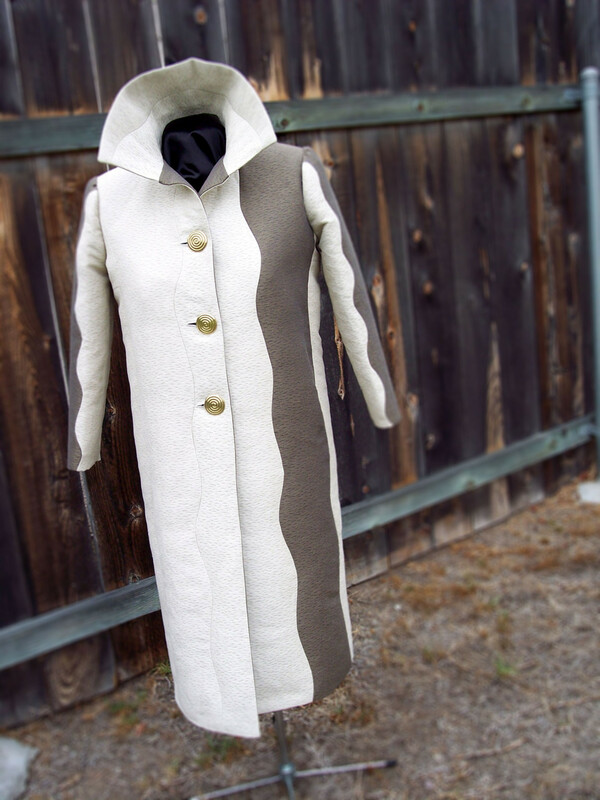 The coat is completely asymmetrical, without a straight line in it. The pieces are all narrower than 8" wide.... Ugh. Sewing curves. Why'd I do that to myself? Haha! And the collar is adjustable to wear in multiple fashion... Fully lined even! Woohoo! This vest started a trend for me. I call it my Festive Vest. I purchased a commercial pattern by Simplicity (#2566 from the Khaliah Ali collection) and modified it by separating the pieces into more panels and adjusted my collar idea from the Wavy Relish coat above. I've used this modified pattern on a huge number of different vests, and then used it again for a third iteration so I could develop swallowtail vests with different collar shapes. It's come in quite handy. 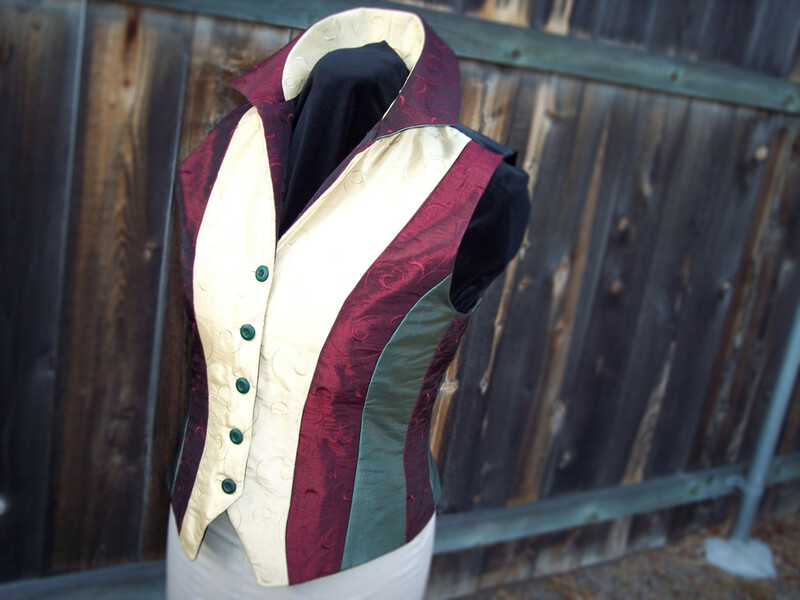 This particular vest was a combination of fabrics I had laying around. 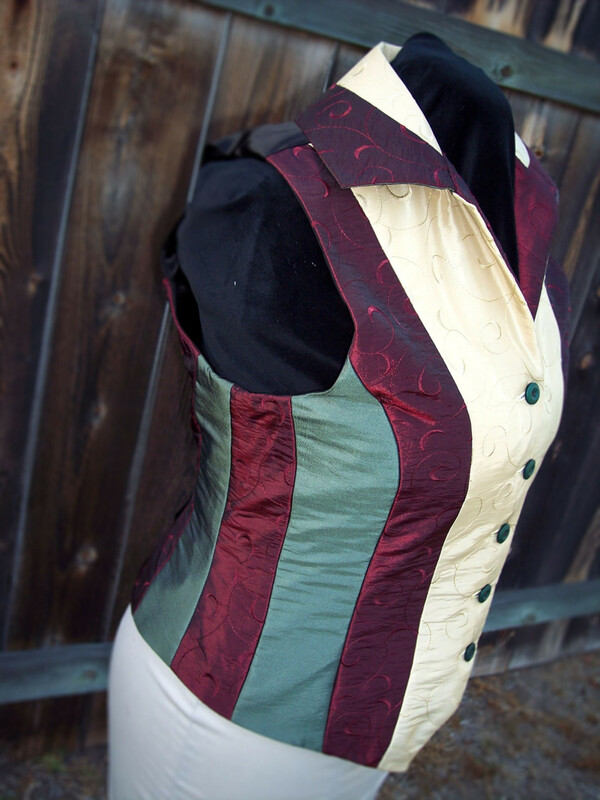 The vest is pretty sturdy--it's flat lined with cotton and then fully lined with satin, so it's got some body. It's not some wimpy vest that you can pick up in a costume store. This was built to look and feel good! 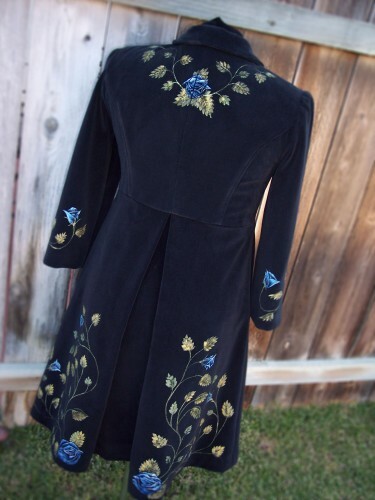 And thus I continued on the period/retro feel, and purchased a Folkwear pattern to make a Poiret-inspired Cocoon Coat. I call this Autumn Relish. I fully lined it (the coat pattern didn't come with a lining) and embellished the collar by hand with metallic fabric painted leaves. 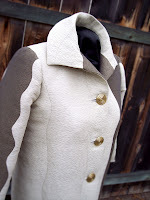 The coat itself has a really interesting shape that is unlike anything I've seen in a contemporary store. I don't know what else to say about it, other than I think it's got drama dripping from it's hem, and makes a statement that can't be repeated!! I've told myself I was going to make more of these--I think I will!